Come and visit us in Peninsula Fair and Westfield Shopping Centres! Located near Coles in both centres. We are open 6 days a week in Peninsula Fair and 7 days in Chermside. 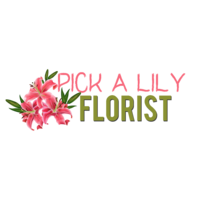 Pick A Lily Florist is a family owned florist located in Peninsula Fair Shopping Centre; Peninsula Fair Shopping Centre, 272 Anzac Avenue, Kippa-Ring. Phone: 07 3283 3222 Bouquets, Floral Arrangents, Gifts Baskets and Genuine Brand Name Perfumes. We provide a personal touch for Birthdays, Gifts, Events and Special Occasions. For Fresh Flowers - based in the Redcliffe area, we deliver and service the Northern Brisbane suburbs. Pick A Lily Florist delivers to the Northern Suburbs of Brisbane directly and are able to deliver to the rest of the world through our partnerships with Interflora and Petal networks.